If you are departing from the North and heading South you will be setting out from Calenzana, a small village in the Balagne, close to Calvi. You head to the first refuge, called Ortu di u Piobbiu Refuge. 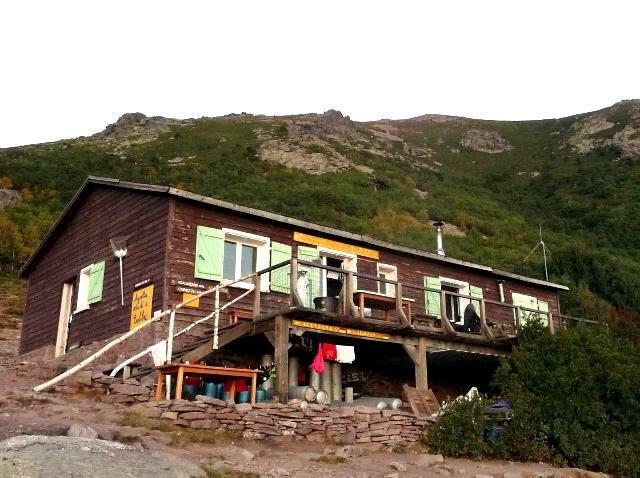 Alternatively, if you start in the South, this refuge will be your last night stop on the two week hike. It is worth noting that the guardian at Ortu di u Pobbiu has recently left her post. This means that you will not be able to have your meals prepared and served for you. There is a park representative on the premises, who will be able to allocate your space in the refuge, or a tent. There is food for sale and you will find gas and water available to cook yourselves. Until further notice, there is no guardian present at the refuge. Latest Update : a guardian will be starting 1st of July.